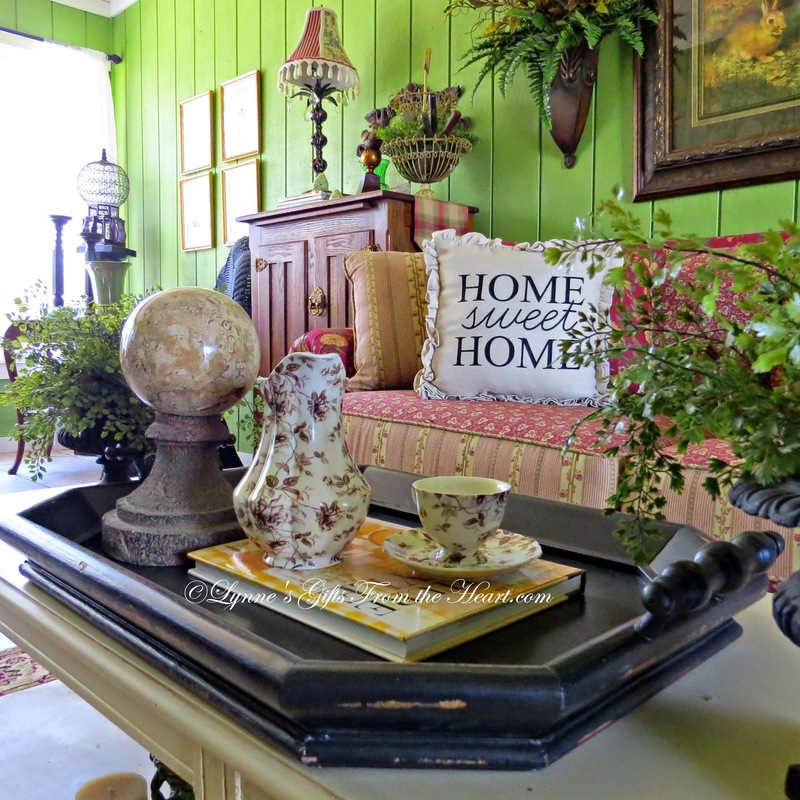 Lynne's Gifts From the Heart: A Little Something New In The Sun Porch & Thanks To You! 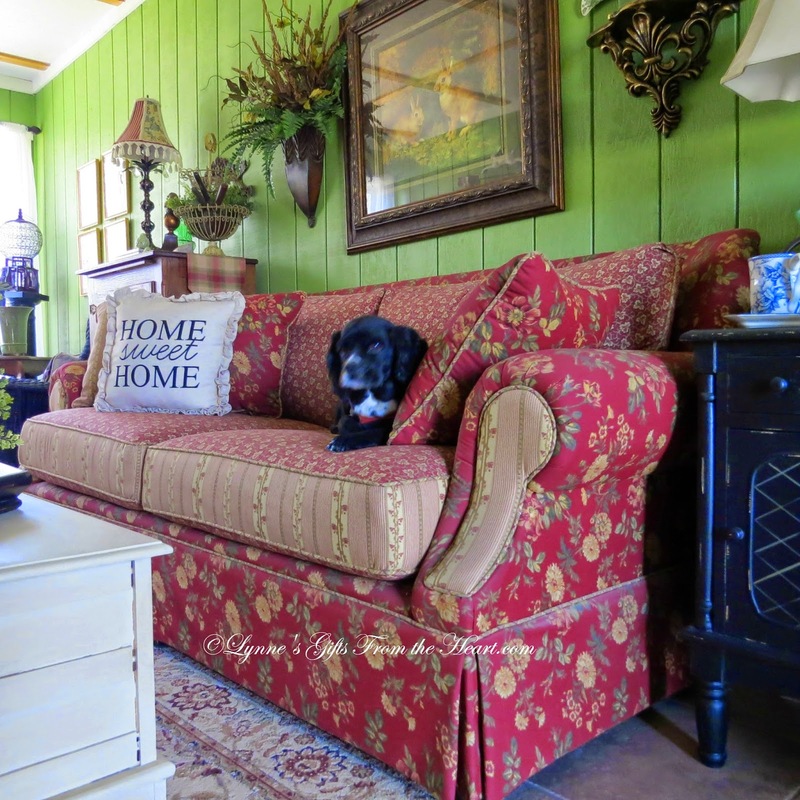 A Little Something New In The Sun Porch & Thanks To You! 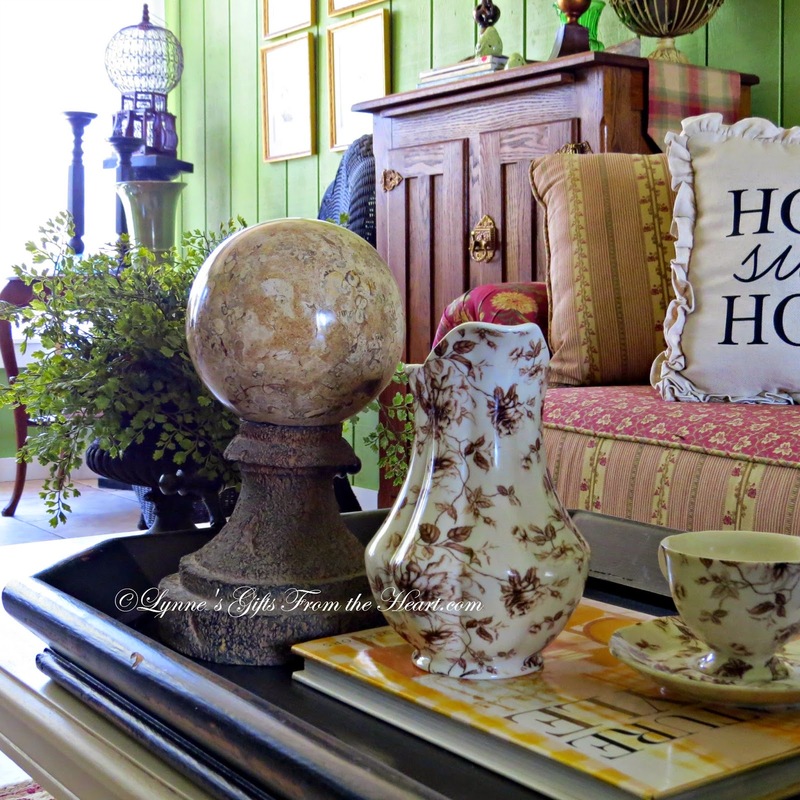 If you been a long time follower or are new to the blog you know our sun porch is the gateway to our home. 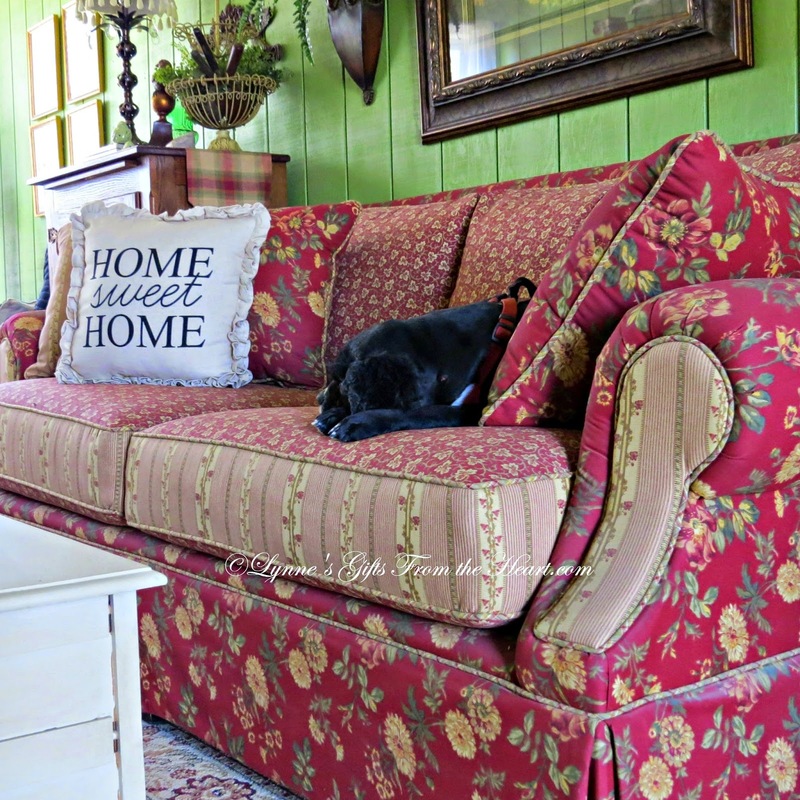 While the interior of my home leans towards the traditional side of decorating, the sun porch leans towards more of an Country French side with a slight twist of Cottage thrown in the mix. The marriage of the two blends beautifully and harmoniously to make me one happy gal. in the city a while back I was meandering through a store and ran across this sweet pillow. I was immediately smitten with the quality and the price. Miss Scooter was not impressed when I came out to take a few pictures, I mean after all I did disturb her nap. It's obvious Miss Scooter is a little bored with all of the picture taking. Stay tuned for all of the changes that have occurred over the last few months. Thanks to all of you who read my blog, for taking time to share on Facebook, Twitter and Instagram along with Pinterest. This means more than you can possibly know, I'm humbled by all the support. I pray you have a safe and Happy Thanksgiving. Happy Thanksgiving to you my dear friend. I know this holiday season won't be your best...but we all will be thinking of you. You are dear to us! 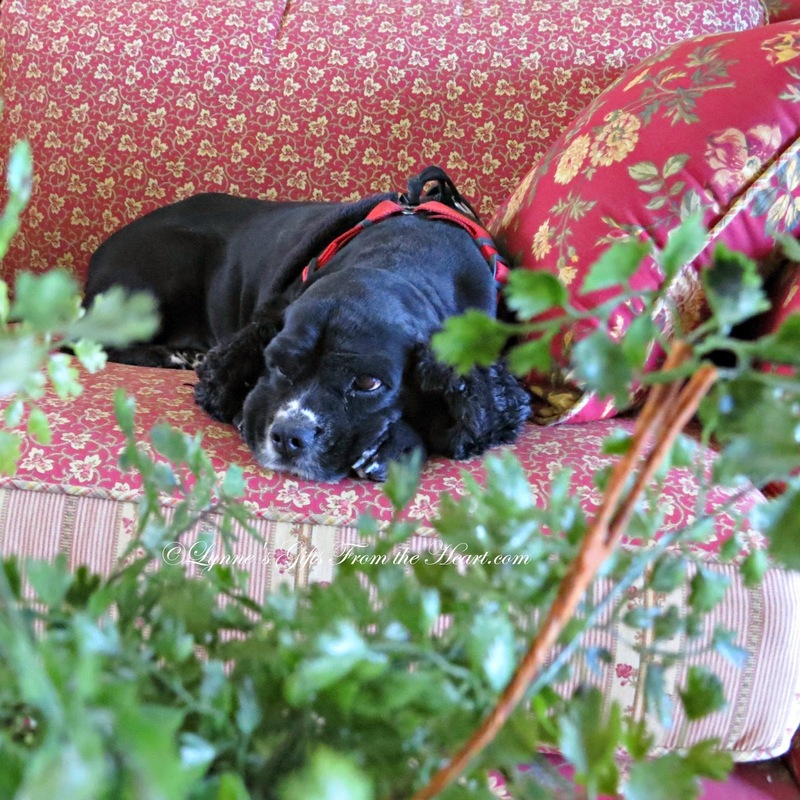 Lynne, I love your sun porch...the green walls and the red sofa look beautiful together! That Miss Scooter is too cute! I hope you enjoy Thanksgiving Day...blessings to you. Oh, how I've missed seeing your sun porch, dear friend!!! 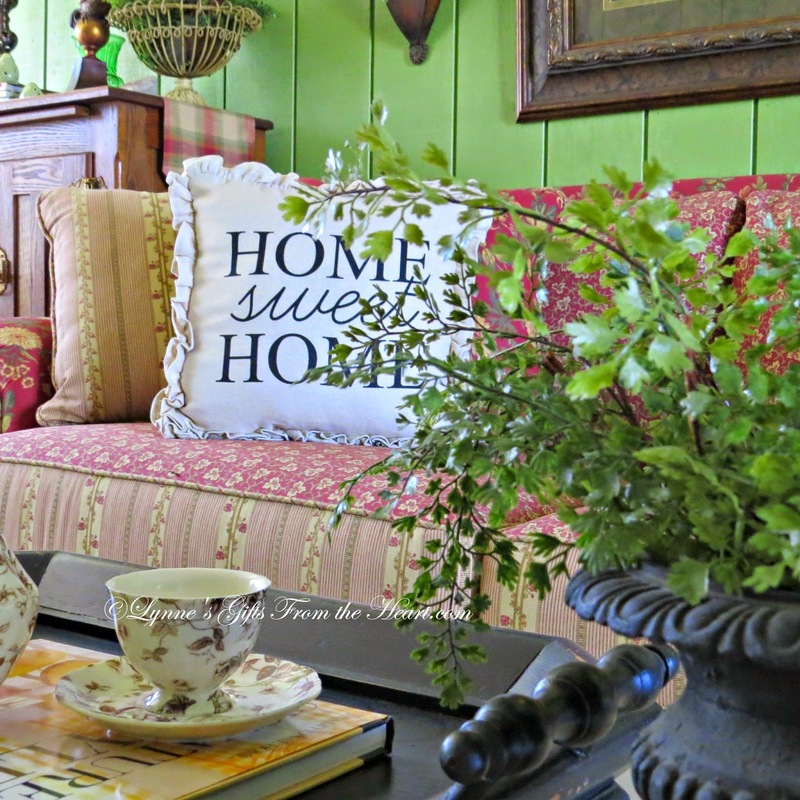 The newest addition HOME sweet HOME pillow is charming, indeed!!! Love seeing personality of Miss Scooter!!! I'll be watching for more revealing changes on the sun porch!!! When I tried to post a comment before, my computer didn't work and let me do it for some reason, but now it is working so I'm catching up with the posts that I've been wanting to write. I love your sofa! I can't figure out that I never noticed it before. It looks so "Mary Engelbreit-ish".and I'm a big fan of hers. I have my sewing room done in "ME" theme. Bright red walls with all white furniture, white drapes and then lots of "ME's" bright colors throughout, in accessories. 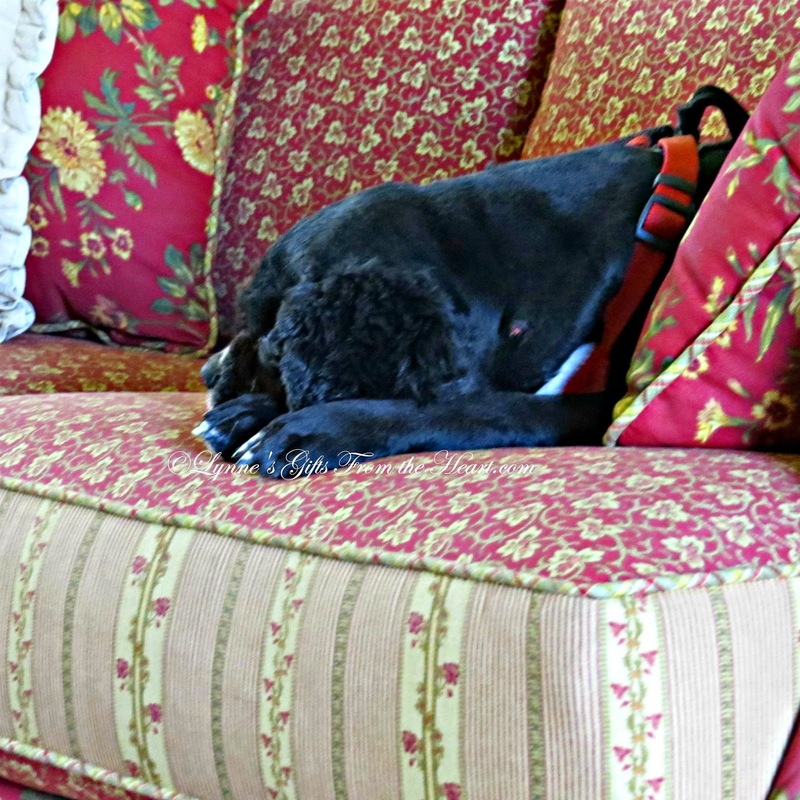 I'd love to find a chair similar to your sofa only with a yellow background, to put in the room. That would finish it off nicely. The green wall behind your sofa is awesome and brings it all together! And Miss Scooter is adorable!